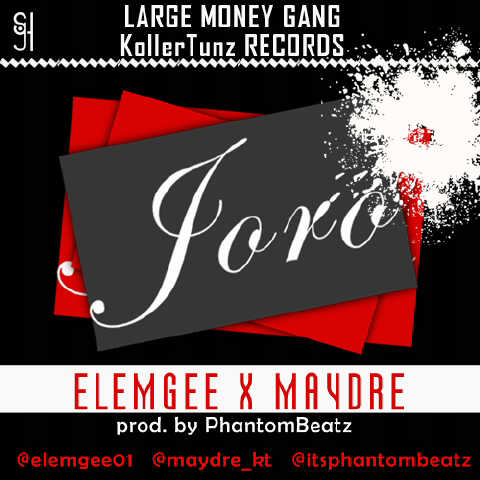 Large Money Gang & KollerTunz Records presents: ElemGee & MayDre - Joro A club banger produced by one of Nigeria's finest producers PhantomBeatz(@itsphantombeatz). Elemgee and Maydre have decided to begin the New Year with Joro and it wasnt a mistake going to PhantomBeatz to produce it...Enjoy!! !